South Korean prosecutors asked a local court on Thursday to issue a warrant for the arrest of Taekwang CEO Park Yeon-cha on charges of tax evasion and alleged insider trading in the sale of Sejong Securities to Nonghyup. The Korea Times reports that Park “allegedly purchased shares of Sejong Securities in 2005 before Nonghyup took over the firm and then sold them. 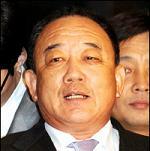 He raked in 20 billion won through the deal and evaded billions of won in tax as he bought some of the shares under borrowed names.” The article states that prosecutors are still investigating whether Park used insider information in the stock deal, an allegation Park denies. After 15 hours of questioning, Park reportedly admitted to tax evasion involving Sejong Securities and paying a two billion won bribe to Chung, but denied allegations of insider trading and tax evasion through the paper company.